Prior to founding Paramount Transportation Systems, Mike worked within the global moving services industry in Germany and the United States, holding positions of increasing responsibility. Utilizing his vast industry knowledge and experience, Mike founded Paramount in 1996. He continues his personal commitment to maintaining Paramount’s reputation as an organization that provides the highest quality service at a fair market price. It is this commitment that makes Paramount a universal industry example of how reaching for perfection leads to rapid success! Mike is based out of Paramount’s San Diego, California, USA Headquarters. 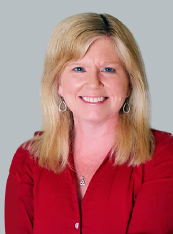 Grace has over 24 years of experience in the relocation industry. She began her career in the international transportation services industry as a move coordinator and through perseverance, drive and an adventurous spirit, she has become a successful entrepreneur helping to build Paramount into the thriving business it is today. Grace earned a Bachelor of Business Administration degree at Eastern Michigan University, Ypsilanti, Michigan, USA majoring in Strategy & Control Management. Grace is based out of Paramount’s San Diego, California, USA Headquarters. 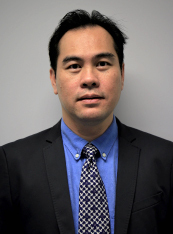 Louis leads US Operations, Supply Chain, Insurance, and Client Services. Louis started his career in the moving trenches developing a detailed understanding of the industry from the ground up. He is a multi-faceted, driven leader with encompassing experience in sales, client services, operations, quality, supply chain and accounting. Louis has been a key contributor in business creation, startup, and expansion over his almost three decades in the industry. While attending College in 1989, Louis began his career as a part time helper over the summers and weekends. Spending the next five years working as a driver, contractor, surveyor, sales person, and eventually general manager of a moving company, he developed an intimate understanding of the agent and van line networks. In 1994, Mike Keller introduced Louis to the forwarding and corporate side of the business; mentoring him over the next four years. Louis spent the following seventeen years in relocation management focusing on corporate domestic and international services managing a program that grew 3,000% before returning to Paramount in 2016. Louis competed in debate while attending JUCO before majoring in Social Science at Pacific Christian College, Fullerton, California, USA. Louis is based out of Paramount’s San Diego, California, USA Headquarters. 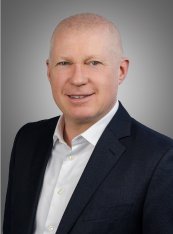 Robert has been in the relocation industry for over 27 years, of which 18 years was as an expatriate holding various leadership roles in Hong Kong, Malaysia, Saudi Arabia, and Singapore. Robert’s dedication to ensuring that Paramount’s relocating assignee’s receive the highest level of service stems from his personal experience as an expatriate and an understanding of the challenges involved with relocating a family. Robert is a Worldwide ERC Global Mobility Specialist (GMS) and holds a Bachelor of Science Degree from Suffolk University, Boston, Massachusetts, USA. Robert is based out of Paramount’s Raleigh, North Carolina, USA branch. 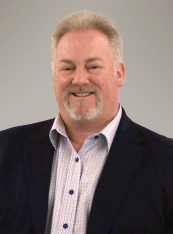 Brad has over 25 years of experience in the global mobility industry. His past leadership positions in sales, operations, and supply chain in both the household goods and global relocation business verticals gives him a unique perspective to relocation. 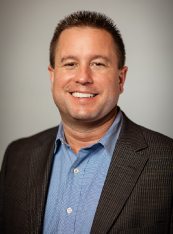 Brad’s strengths include international project management, supply chain negotiation, operations management, analytical skills, and international business. 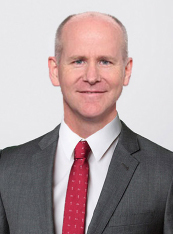 Prior to joining Paramount, Brad successfully managed household goods supply chains with cross-functional leadership responsibilities for the Americas, APAC, and EMEA regions. He holds a Master of Arts degree in International Business from Webster University, Webster Groves, Missouri, USA. Brad is based out of Paramount’s St. Louis, Missouri, USA branch. 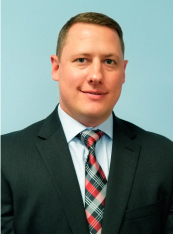 Brandon has been in the international relocation industry for more than 15 years. His various roles across different departments have equipped him with a strong knowledge and understanding of the moving industry. He is responsible for customer service in Asia and takes great pride in exceeding customer satisfaction. Brandon received a Bachelor of Business Administration degree at Evangel University and Master of Business Administration degree from Missouri State University, Springfield, Missouri, USA. Brandon is based out of Paramount’s Singapore, ROS branch. 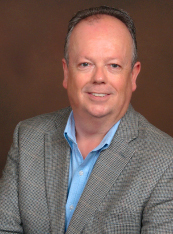 Brian has over 30 years of experience managing international and domestic household goods transportation for an array of Fortune 500 companies. Known for his energy and going the extra mile in all he engages in, Brian fosters a customer-centered service philosophy and team approach among his highly motivated operations team. 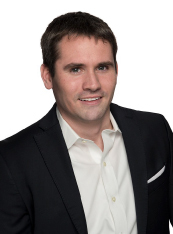 Brian focuses on delivering transparency to create an unparalleled bond of client advocacy, while never losing site of the challenges relocating employees routinely face. Brian is based out of Paramount’s Reno, Nevada, USA branch. Brian has been in the household goods moving industry for over 9 years. He is responsible for overseeing all departments from operations and warehousing to customer service and coordination. Brian earned a Bachelor of Business Administration from the University of North Florida, Jacksonville, Florida, USA and proudly served in the U.S. Navy for 6 years, which included 3 years in support of Operation Iraqi Freedom I and II. Brian is based out of Paramount’s Houston, Texas, USA branch. David has over 10 years of experience in the moving industry. Prior to joining Paramount, David’s knowledge and experience included operations management, process improvement, IT support, quality control, and business development for both startup and established companies in North America and the Middle East. David’s strengths lie in his ability to enhance business operations through change management and process improvement initiatives as well as identify business opportunities and market requirements to implement company offerings that will support customer interests. David graduated from George Brown College, Toronto, Ontario, Canada with a degree in Electronic Engineering Technology. David is based out of Paramount’s Toronto, Ontario, Canada branch. Dirk started his career over 31 years ago with one of the world’s leading logistics providers before transitioning to the household goods industry. During his professional career, he has developed significant sales in various large companies within the moving and relocation industry, always focusing on client services and service execution. Dirk continues to strengthen Paramount’s footprint in Europe through his strategic management of EMEA Operations. He earned a degree in Transportation and Logistics Management at the Chamber of Commerce & Trade and Professional School in Cologne, Germany. Dirk is based out of Paramount’s Frankfurt, Germany branch. Jurgen has over 30 years of logistics experience, of which 19 years are in the household goods moving and storage industry. He began his career in the fair and exhibitions sector of a major international logistics company. After 7 years of coordinating fairs and exhibition logistics, Jurgen transitioned and quickly rose through the ranks of the moving sector while still maintaining his connections in the fairs and exhibitions sector. After several years in the moving sector, he assumed overall responsibilities for fairs and exhibitions, special transports, and relocation and successfully ran his branch until 2015. In 2017, Jurgen joined Paramount and opened Paramount’s Mexico City location. Jurgen is based out of Paramount’s Mexico City, Mexico branch. Lauren has over 28 years of logistics experience. Her professional career began in manufacturing logistics prior to transitioning to the household goods industry. Lauren has been successfully leading Paramount’s pricing team for over 4 years, incorporating best practices in pricing and ensuring that Paramount’s pricing strategies, analytics, and pricing processes complement its business strategy, capture the value it provides, and is consistent throughout the organization. Lauren holds a Bachelor of Science degree in Business Logistics and Economics from Pennsylvania State University, State College, Pennsylvania. 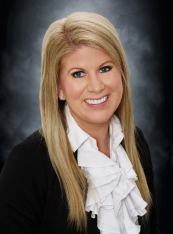 Lauren is based out of Paramount’s Jacksonville, Florida, USA branch. Lisa began her career in the international moving industry in 2007 working for a family run moving company. After gaining some experience in operations and logistics, she joined the sales team in London, performing pre-move surveys and eventually business development. 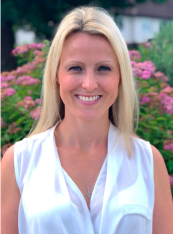 In 2010, Lisa joined a London-based moving company where she focused on business development, managing a sales team and working closely with senior management. In 2017, Lisa joined Paramount to open its UK office and service client relationships. Lisa is based out of Paramount’s London, United Kingdom branch. 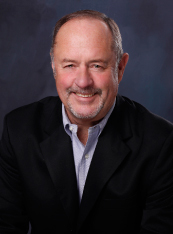 Mark has over 40 years of industry experience in domestic and international relocations. Since 2006, Mark has been managing Paramount’s daily administrative and logistical operations in the Boston market. 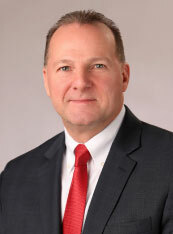 Mark is based out of Paramount’s Boston, Massachusetts, USA branch. Ole has 45 years of global moving experience, having started his career in Denmark’s transportation industry in 1974. 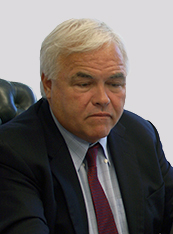 His past leadership experience from executive positions in Canada, United States, United Kingdom, and Singapore, gave Ole the knowledge to open his own global moving company in 1989. Over the course of his professional career, Ole has had the opportunity to work with several notable moving companies before partnering with Paramount Transportation Systems in 2018. Ole is based out of Paramount’s Toronto, Ontario, Canada branch. Patrick is a veteran of the mobility industry bringing over 32 years of experience to Paramount, of which 23 years was as an expatriate in Asia. Patrick’s customer centric approach, collaborative leadership style and industry experience are the foundation for his success in growing and developing lasting customer relationships. Patrick is an active leader in the relocation industry where he has held numerous positions in industry associations and organizations. He is a board member of the Overseas Shipping Association (OSA) and a member of the Worldwide Employee Relocation Council where he holds the Senior Global Mobility Specialist (SGMS) and Certified Relocation Professional (CRP) accreditations. Patrick holds a Bachelor of Arts Degree in Economics from Seattle University, Seattle, Washington, USA. Patrick is located in Paramount’s Seattle, Washington, USA branch. Peter has been in the international moving industry for over 25 years. Originally, from the UK, Peter has served in sales, operations, and management positions in Europe and the United States. His passion for customer service, team building, and working with clients and partners around the world has been instrumental in the success of the Paramount’s DC operation. Peter feels fortunate to have worked and developed his skills in three of the most exciting cities in the world – London, New York, and now, Washington, D.C.
Peter studied Business Studies at the University of Hertfordshire, Hertfordshire, United Kingdom and was a management trainee for a large UK based removals company. Peter is based out of Paramount’s Washington DC, USA branch. Robin has over 23 years of experience in the international relocation industry, of which 21 years have been with Paramount. Robin was Paramount’s third employee and has been instrumental is in its incredible growth. Robin’s commitment, dedication, and continued support of the corporate office, its branches, subsidiaries, and sister companies is endless. Prior to joining the international relocation industry, Robin’s background was in finance. Robin is based out of Paramount’s San Diego, California, USA Headquarters. Silvia has been in the household goods moving and storage industry for over 22 years. 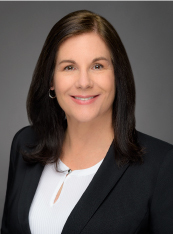 Her strengths lie in her proven leadership, operational management capabilities, as well as her knowledge and relationships with service partners around the world. 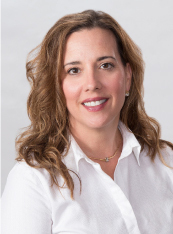 Over the course of her professional career, Silvia has been instrumental in the development of several programs for workflow management, quoting, billing, supplier management, and online tracking, resulting in improved service quality and operational efficiency. Silvia was elected to the FIDI USA board in 2015 and served as president in 2017. Silvia graduated from Bryant University, Smithfield, Rhode Island, USA with a Bachelor of Science degree in International Business and is a dual citizen of the United States and Portugal. 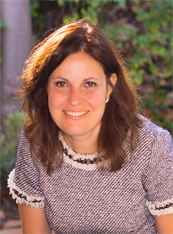 Silvia is based out of Paramount’s Providence, Rhode Island, USA branch. Tylene has over 20 years of experience in the moving industry. Her love of international business and learning about new cultures drove her passion for pursue a role in client services management. Tylene strengths include quality control management, conflict resolution, and contract management. Her dedication to provide quality service has remained a constant commitment to our valued clients. Tylene studied business and marketing management at Fullerton College, Fullerton, California, USA. Tylene is based out of Paramount’s Asheville, North Carolina, USA branch. Anthony has been in the household goods moving and storage industry for over 25 years, of which 16 years have been with Paramount. 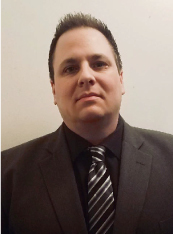 Anthony has held various positions operations, sales, and relocation services. He holds a Bachelor of Science degree in Business Management from Kean University,Hillside, New Jersey, USA and is the New Jersey Chapter Lead for the Forum for Expatriate Management. Anthony is based out of Paramount’s New York, New York, USA branch. Bob has over 30 years of mobility experience, including various senior roles with a leading global relocation management company. Bob’s wealth of knowledge in global employee mobility programs stems from his roles in the development and execution of strategies and initiatives pertaining to business development, client retention, service delivery, provider utilization, and marshaling integrated internal and external multidisciplinary resources to support the management of outsourced services within complex global employee support programs. 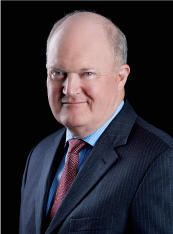 Bob is a member of the ERC and CERC, serving on the board and committee levels of CERC. In 2017, he received the Meritorious Service Award from the CERC. Bob is based out of Paramount’s Toronto, Ontario, Canada branch. 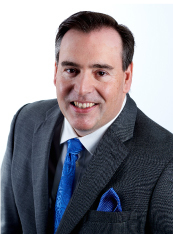 Brian has been in the global mobility industry for over 28 years. He began his career developing the international department of a local moving company in Houston. After 10 years with another major relocation company, Brian opened Paramount’s Houston location in 2003 and helped build it into one of the top producing offices in Paramount’s global footprint. 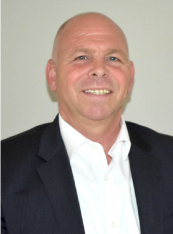 Colin has over 17 years of experience in the household goods moving and storage industry. While his roles range from coordination to business development, he is always dedicated to meeting the needs of the corporate transferee and their family. Colin’s focus on service excellence along with his hands on approach has contributed to Paramount’s significant growth in the Boston market. Colin graduated from Hofstra University, Hempstead, New York, USA with a degree in Business Administration. Colin is based out of Paramount’s Boston, Massachusetts, USA branch. 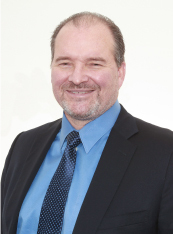 Keith has been in the transportation industry for over 33 years of experience. Keith joined Paramount in 2001 and helped open Paramount’s first branch office and moving and storage facility in New York. His experience, knowledge, and tireless efforts has contributed enormously to Paramount’s rapid growth. 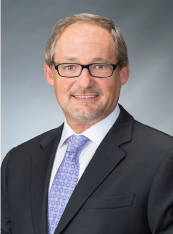 He has served on the boards of directors for several industry associations, including SHRM and ERC, and still supports many organizations affiliated with global mobility. Keith is based out of Paramount’s New York, New York, USA branch. 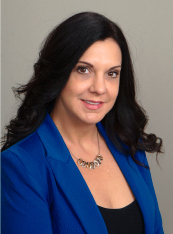 Rachel has 10 years of experience in the relocation industry. She began her career in the domestic relocation services arena in South Florida. Rachel has become an asset to the transportation industry through her experience in multifaceted roles in domestic moving and storage, her understanding of people’s needs, and her strong drive and determination. Rachel studied Business Administration Management at Blinn College, Brenham, Texas, USA . Rachel is based out of Paramount’s Houston, Texas, USA branch.